OLD PARKED CARS. 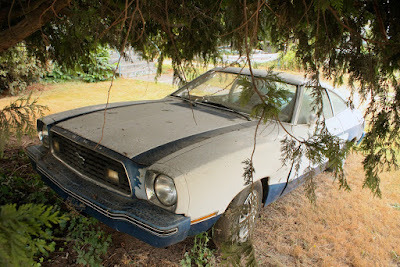 : 1978 Ford Mustang II. A little Starsky and a little Hutch. The "get off my lawn" tag got me. Lots of those were a camouflaged Pinto-same drive train. Yeah, the 4-bolt lug pattern is the Pinto running gear. The V8 had 5. 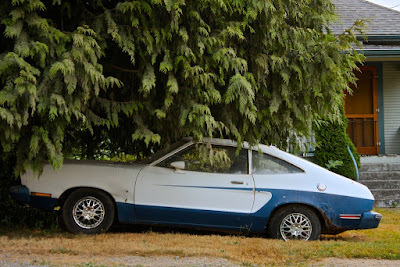 I always called this generation of Mustangs, "Ford Mustakes". Even the Mach-1 and Cobra II had four lug hubs AND thirteen inch wheels! 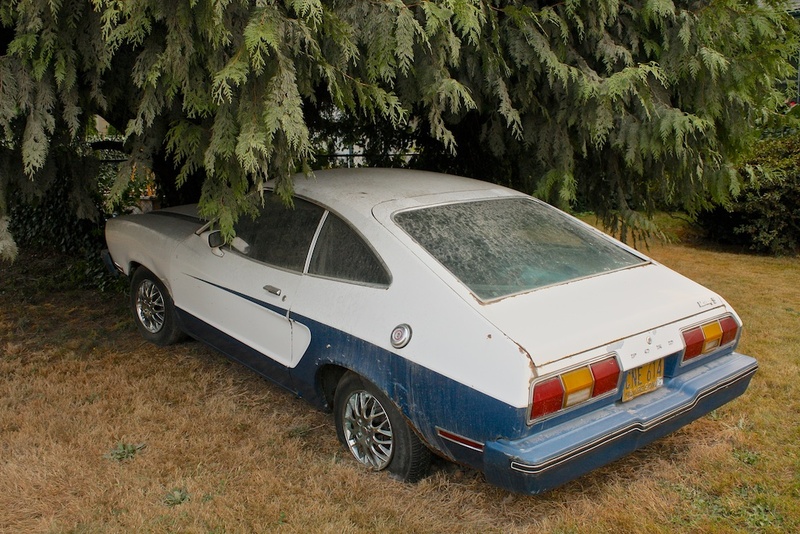 Also, these Mustangs shared less than 10% of parts with a Pinto, or any other Ford for that matter.